As detailed by Ricardo Gamarra, Founder and President of California Tequila, LLC, “Over two decades ago, Enrique Fonseca Sr., a renown agave grower and tequila maker, had an idea…to take his best organically grown agave and use it to make a special longer aged, extra special tequila for his friends.” After a ten-year growth period, he hand selected the 100% Blue Agave plants to become this special tequila. He then took his freshly distilled premium silver tequila and sealed a cache of it into a few small French oak casks as part of his experiment in making a longer aged Añejo. The new AsomBroso “Vintage” 11-Year aged Tequila is available in limited quantity and in limited distribution. 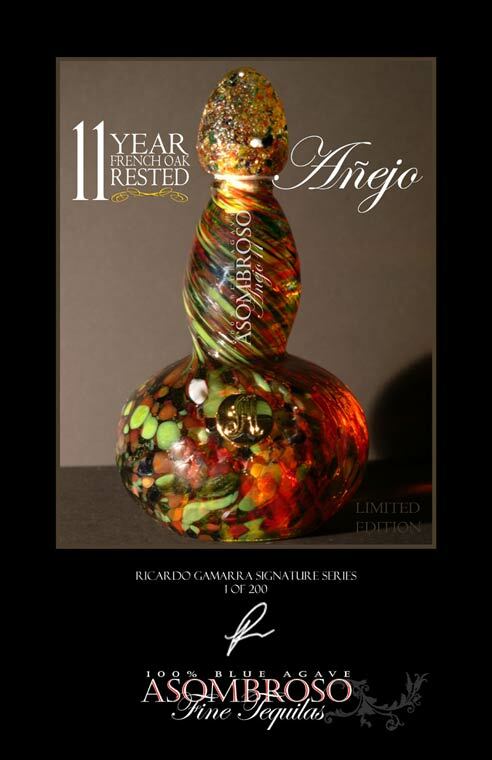 It is bottled in a special Limited Edition “Bella Age”, hand-blown bottle that retains the now familiar trademarked AsomBroso decanter bottle shape.